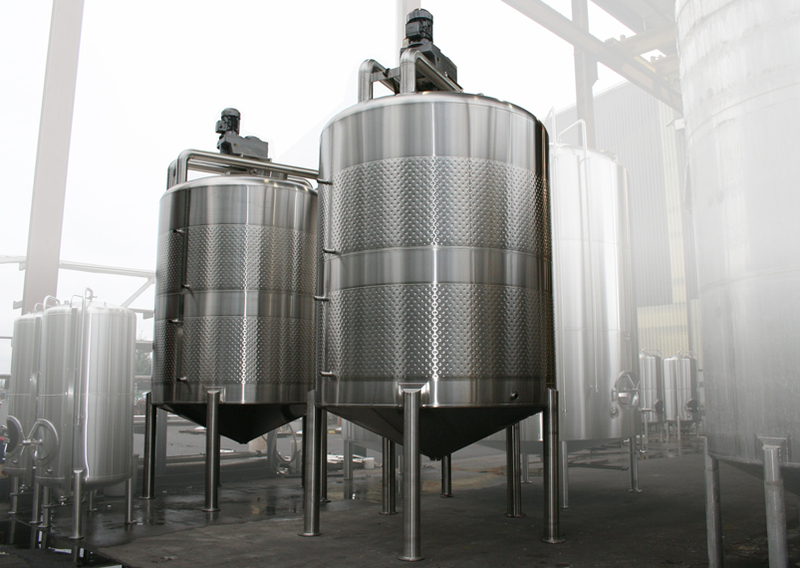 ICC Northwest manufactures a wide variety of mix tanks and storage tanks for the food, beverage, ozone and pure water industries. We manufacture our own agitators and are home to the self-cleaning Sanifoil Impeller and SaniBearing, a sanitary steady bearing designed to be easily disassembled and removed without tools. Our in-house Mixer Lab will define the fluid characteristics of your company’s product and develop the best solution for mixer performance. All components of our process vessels are perfectly matched and tested. Our cleaning devices reach every corner without interfering with shafts or impellers. Instrumentation is strategically located to avoid false readings. Heat transfer jackets are sized for BTU loads and zoned for flexibility. 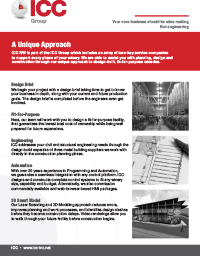 ICC NW’s outstanding engineering capabilities will make a difference in the way you process your product. Examples of recent engineering innovations are the Shadowless Manway and the Sanifoil Impeller which are making our process vessels considerably more sanitary. Our Mix tanks are built in a unique work cell environment. Much like an office, a small team of fabricators work on each tank from start to finish and have every tool they need to build your tanks within an arms reach. 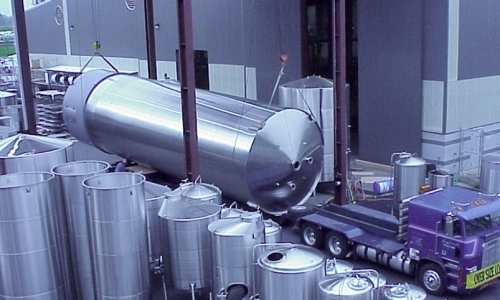 Efficiency and quality is increased by minimizing tank transport during fabrication, and having all assembly parts readily available to the fabricator. Fabricators can perform a full range of quality checks including dye penetration and hydrostatic tests without relocating the vessel. “Bolthouse Farms has been doing business with JVNW for at least 8 years that I am aware of. 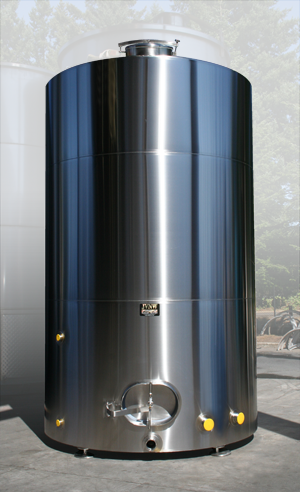 They are our first and primary choice for all of our stainless steel tanks. We have purchased a variety of tanks with various configurations including aseptic, full scrape mixer, turbine mixer, glycol jacketed, hot water jacketed and insulated just to name a few. JVNW’s price and delivery meets or beats their competition while their quality definitely exceeds other manufacturers. I can without hesitation recommend JVNW as an outstanding supplier to Bolthouse Farms.” -Engineering Manager Bolthouse Farms, Inc.
ICC NW builds a full line of bottom/side entering agitators with seals that are, at the push of a lever, completely “CIP-able”. ICC NW manufactures it’s own economical heat transfer surface (HTS) for both low and high pressure heating and cooling applications. To view the full line of ICC NW Mix Tanks, please see Products>Mix Vessels in the above menu bar. 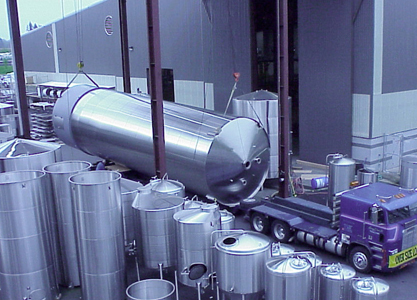 Bulk Containers for storing, handling, and transferring liquids are an ICC Northwest specialty. These containers can be mounted on four-way forklift channels, pressure and/or vacuum rated, and can be stack-able. Our 50,000 square foot manufacturing plant accommodates large tank fabrication. The 65 foot tall building allows for one piece vertical assembly, which is a very economical manufacturing method. The actual building site or installation constraints may require on-site tank assembly. Seismic conditions are always considered. Venting is especially critical in large volume tanks. General rules and calculations are compiled with weather related effects to vent large tanks built for outdoor service. Large tanks can be outfitted with an enclosed skirt allowing tanks in exterior locations to safely house instrumentation and monitoring equipment. Mild steel or stainless steel legs, diagonal cross bracing and center supports are used in place of bases when applications require on-site adjustment. Load cells are mounted on sidewall brackets or legs. Sidewall bracket mounting facilitates suspended vessels, and are braced structurally within the tank wall. Leg-mounted load cells can be supplied during tank construction. Economical sectional bases are available in coated structural steel. The egg crate design can accommodate sloping or flat bottom tanks. Built to store polyethylene pellets, the pellets used to form fully recyclable water bottles. The 520,000 gallon tank (pictured left) houses a full rail car of polyethylene product. Enclosed in the lower section of the 14′ x 62′ tank is an interior room with dispensing equipment. 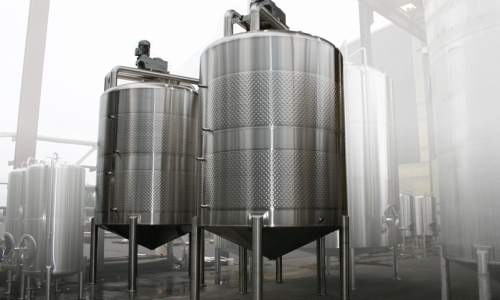 Stainless steel ozone contact tanks are utilized throughout the pure water industry. ICC Northwest contact vessels are used in ozonation systems where quality is critical. The industries’ top ozone system suppliers choose ICC NW to provide consistent, top quality contact tank construction. Large clear-view port/manways, tangential fittings, and reliable ozone gas diffusers are all part of ICC NW ozone contact vessels.